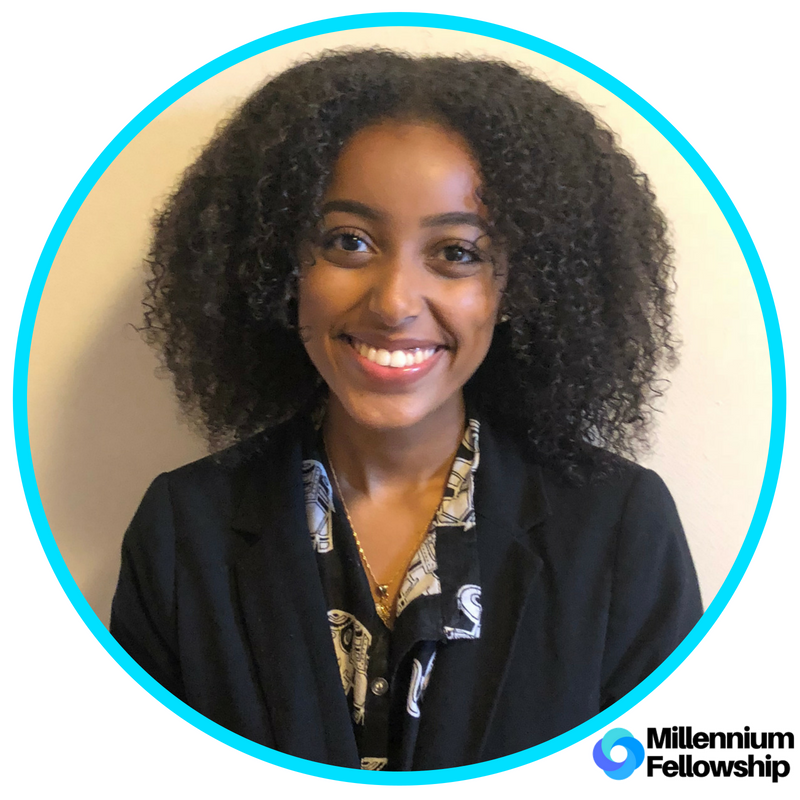 UNITED NATIONS ACADEMIC IMPACT AND MCN PROUDLY PRESENT BEMNET ASSEFA, A MILLENNIUM FELLOW FOR THE CLASS OF 2018. The Mann Deshi Foundation works to empower rural women in India with the resources and employment to help them achieve gender equality. Bemnet spent the summer documenting the stories of many women to show how the organization touched their lives and measure the sustainability of the different initiatives they have. She hopes that for 9 girls’ job training for police and sports coaching to be funded, the farm to market to expand by 1.25 of what it is currently, and for the water conservation program to receive funding for an additional water dam that will provide water for an entire village. Bemnet Assefa is a sophomore at the Georgetown School of Foreign Service. She was born in Ethiopia and grew up in a family passionate about improving the quality of life for their loved ones back home. This upbringing inspired her to pursue a security of human rights in her professional and academic career!